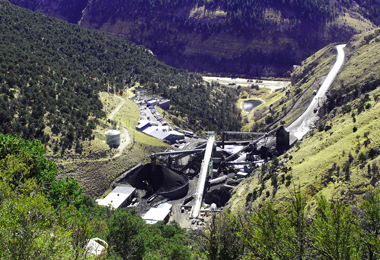 The Sufco mine, which derives its name from its former owner, Southern Utah Fuel Co is one of the longest continuously running and most productive underground longwall mines in the U.S. It has been in continuous operation since 1941, initially as a room-and-pillar coal mine and since 1985 as a high-performance longwall operation. The Sufco mining complex is located in Sevier County, UT approximately 30 miles north east of Salina, UT and 125 miles south of Salt Lake City, UT. It is located in the Blackhawk Formation in the Wasatch Plateau coalfield in which eight coal beds have been identified that contain coal seams more than seven feet thick. Sufco has longwall and continuous miner reserves where it produces high-BTU, low-sulfur, compliance thermal coal.